Turkish Airlines Corporate Club won the First-Ever GT Tested Reader Survey Award for “Best Corporate Travel Program for Business Travelers”. 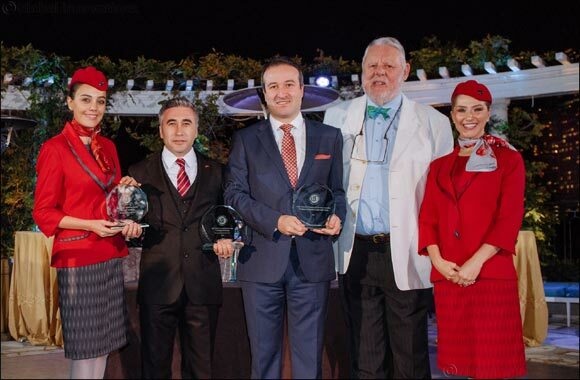 Dubai, UAE, December 20, 2018: Turkish Airlines, flying to more countries and international destinations than any other airline in the world, is the recipient of three 2018 GT Tested Reader Survey awards by Global Traveler magazine, including the first-ever award for “Best Corporate Travel Program for Business Travelers” for its prestigious Turkish Airlines Corporate Club program. In addition, the global airline was awarded “Best Airline for Business Travelers” and “Best Airport Staff/Gate Agents” for the second consecutive year.